Well hi there and Happy Hump Day. Ok then! I have no idea why I even admitted that to you, *mental note to self: must ease up in the extreme over sharing department. Here in Sydney, the school holidays are only a matter of days away and I for one look forward to them AND fear them, both at the same time. I always start the holidays on a high - no homework, no uniforms, no lunches, and NO morning rushing. Usually by the end of the first week my enthusiasm level drops a few bars and I make a mercy dash to replenish my coping cordial supplies. Come the day for them to return to school, and I am lining up with all the other excited parents eager to kiss our little munchkins goodbye and hand them over to some one else to manage for a while. Actually I am probably over exaggerating a little. If we have a holiday activity plan in place with a mixture of outings, play-dates and quiet days thrown into the bucket, things are usually not too bad and I am spared a visit to the happy hospital for meltdowning Mummies (though I have a picture in my head of that Happy Hospital being all luxurious and zen like and really quite appealing). A couple of months ago we were given a Zoo Friends Membership for Taronga Zoo to trial and review and can I tell ya, this was one of the best things I have been lucky enough to do in my short blogging career. My kids love visiting the zoo and catching up with all their friends and relatives....... that was a joke.... OK then that was a bad one. But seriously the Zoo is great fun and there are so many new attractions and enclosures to explore and with a Zoo Friends Membership you can visit as many times as you want to for a whole year - yup they are open 365 days a year. Having the pass meant we didn't have to rush around and see everything all in the one day, we could take our time and explore in a more civilized manner (well as civilized as our family can get). 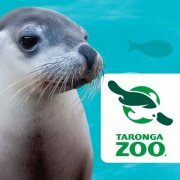 Enough of my rambling, our gorgeous friends at Taronga Zoo would like to give one of my readers a chance to win a Zoo Friends Family Membership (for 2 adults and 2 children or 1 adult and 3 children) valued at $275.00! *Booyah Baby!!!!! *apparently Booyah is primary school talk and translates to 'radically good' - please feel free to enlighten me if my kids are playing a trick on me with that word! 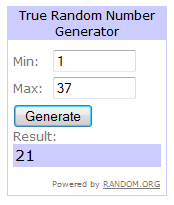 Anyway enter away my lovelies - below is all the info you need to go into the draw. Good Luck! Competition is open now and closes at 5pm 11/04/2012. Step 1. Visit this post where my family spent the day at the zoo and tell me what was the name of the Seal my son Kai got to meet. Step 2. Leave your answer in a comment below. 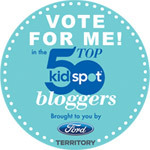 Share this post on your Facebook and leave another comment below to tell me you have done it. Share this post on Twitter and leave yet another comment below to tell me you have done this. You can get a total of 4 entries for an even better chance of winning.